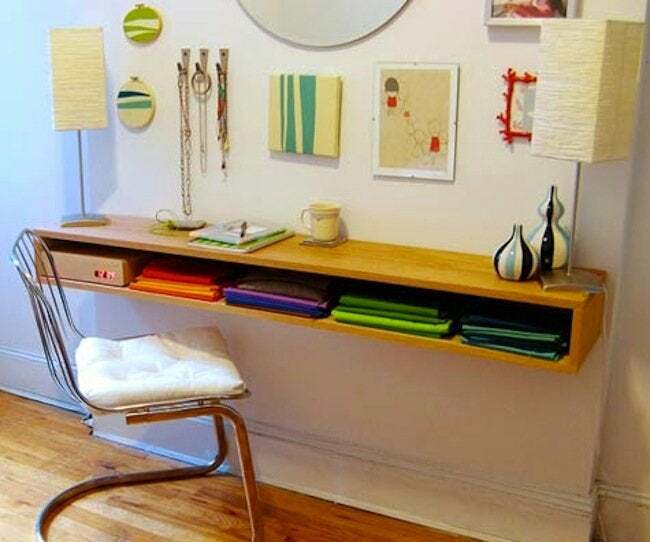 A DIY desk offers one invaluable feature that storebought furniture can't, and that is customization to your daily workflow and the existing decor in your home. With autumn somewhere over the horizon, it’s only a matter of time before chilly weather relegates us to working indoors again. 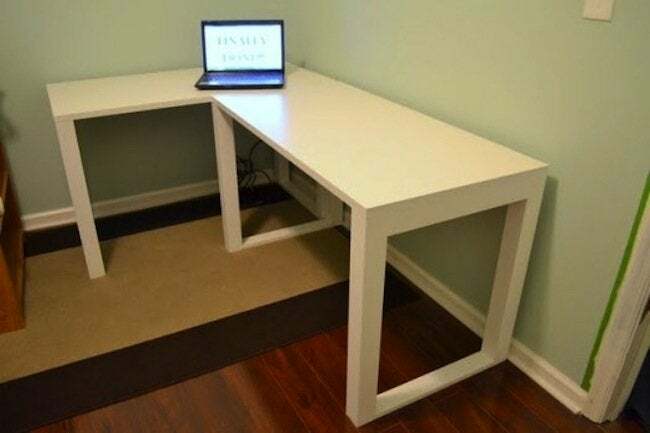 Whether you’re a student or a person who works from home, building your own DIY desk has advantages that you often can’t buy in a furniture store. Scroll down for five favorite approaches to custom-creating a work surface that closely responds to your day-to-day productivity needs, as well as to the stylistic attributes of your decor. 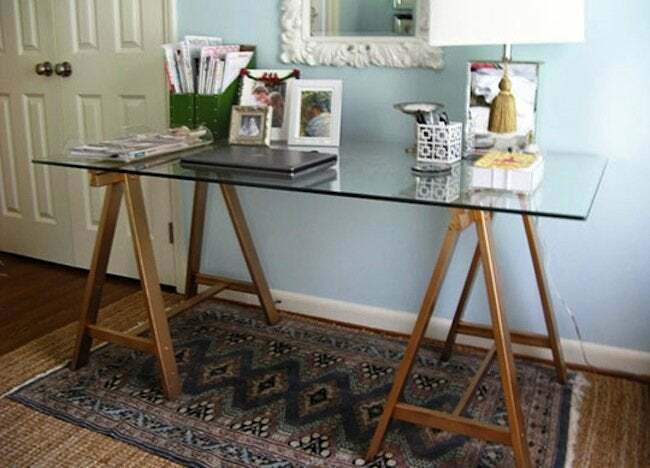 Familiar and beloved, the utilitarian sawhorse DIY desk appeals to fans of the industrial aesthetic as much as it does to those who favor more rustic styles. Inspiration and tutorials abound: Check out Ana White’s classic approach, Tommy and Ellie’s double desk, and Sarah Fisher’s gloss-topped riff on the theme. Featured on Design*Sponge, this space-saving desk floats on the wall by means of L-brackets fastened to wall studs. An application of tung oil not only protects the oak construction from scratches and spills, but also gives it a rich honey color that complements the room’s existing hardwood flooring. 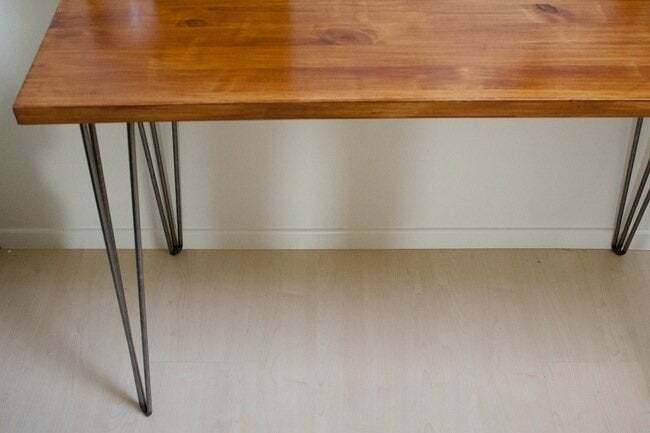 Sarah of The Ugly Duckling House designed this DIY desk for the corner of her study. Having purchased the top from IKEA, she went on to create the legs from a cache of poplar boards, in the process using only a miter saw, Kreg jig, and screws. Paint visually joins the two parts of the assembly into one seamless unit. Hairpin-leg tables are “in” right now, but rather than pay for a designer version, Kate of For Me, For You decided to save money and make her own. After getting pine cut to size at her hardware store, she attached the legs and stained the wood—that’s it! Whoever said a minimalist desk would be difficult? 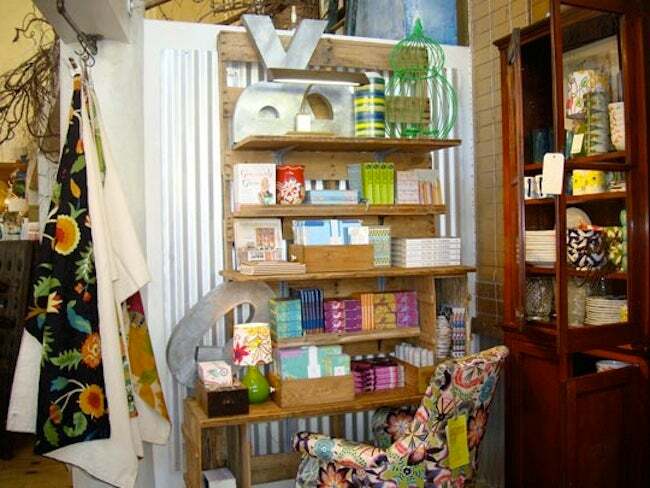 Wandering through a certain unnamed retail shop, Apartment Therapy couldn’t help but notice the unique and storage-ready station pictured here. Though it looks like it must have come from the back room of a farmhouse, you can use apple crates to fashion a DIY desk boasting an equal degree of country charm. Just be sure to sand any especially rough pieces of lumber before you sit down to a day’s work!